There is lots of posts we can find from internet that showing the procedures to set user tile from active directory for a Windows 7 domain member computer. 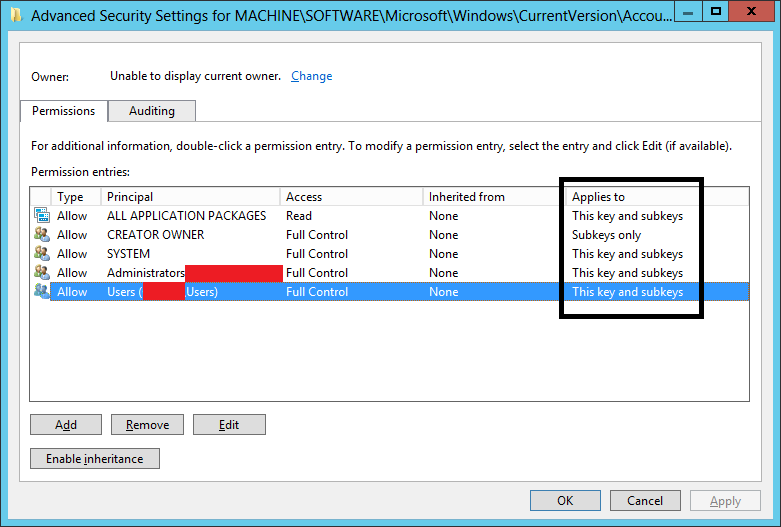 But there is no successful guides & tools available on Internet to set account picture from active directory on a Windows 8 or Windows 8.1 computer. I cannot understand why Microsoft not including a built in feature for this simple (but a dream of all I.T administrators) option. I have decided to spend my weekend to find a solution for this. I have developed a tool (In VB.net) and group policy procedure to set account picture from active directory on a Windows 8 or Windows 8.1 domain computer. I wish to share it with you all. 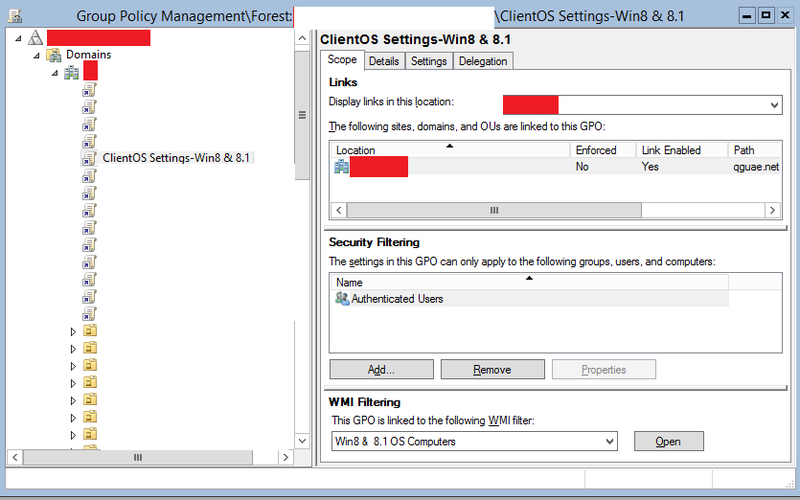 Give a proper name to newly created group policy, In my case I am using "ClientOS Settings-Win8 & 8.1" and ensure you are selected the "Win8 & 8.1 OS Computers" WMI filter to ensure newly created GPO is only applicable to Windows 8 and Windows 8.1 clients. Step 2. Download and save “UserTile8.exe” to a shared folder that everyone can access. I have included the source code of UserTile8. You can download, refer and make any changes & re-compile if required. 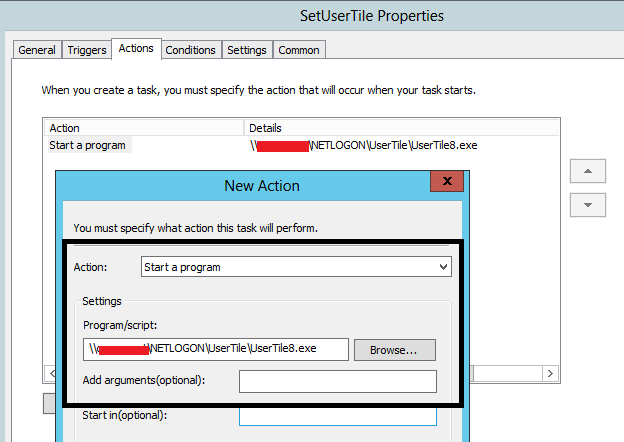 Without any changes you can simply use UserTile8.exe in case you don’t have .NET programming knowledge. Select the UserTile8.exe from the shared folder. Press Ok buttons and save it. All the settings are ready now. To test it is working or not, go to a Windows 8.1 client pc. Run gpupdate from command prompt to update the group policy immediately. In case you have any comments, I am happy to answer (surely on my free time). If you find this tool is helpful for you, you can consider to offer a coffee by pressing the donate button. 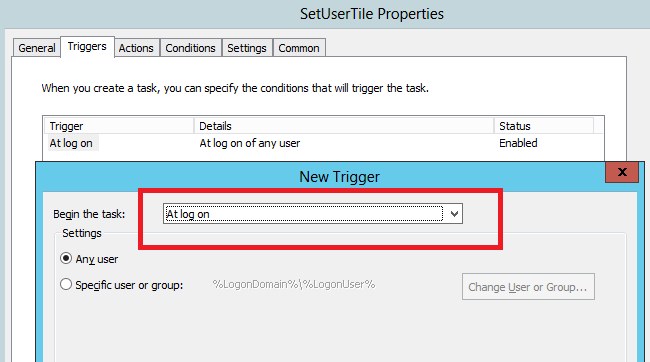 There is no need to to crate the folder, once the UserTile8.exe executed as per the scheduled task configured in group policy, it will create that folder automatically. Does it also work with Server 2012 / 2012 R2 ?, i would like to use it in my Demo Enviroment but there we mainly Login to Server not Workstations. Sorry for the typing mistake. Made the changes in post, thanks. Same here... created the folder, but did not set the picture to the account. There is some misprint in the article. But you should add "s" to the end "AccountPicture\UserS"
Not working. Any patch or something? It Works great! thx!! I now have account Pictures on both servers and clients in my organization by using the following WMI filter, and setting up everything in GPO. SELECT * FROM Win32_OperatingSystem WHERE Version LIKE "6.2%" or Version LIKE "6.3%"
Hello everyone. The script is running at startup workstations, see the photo of the Active Directory and writes them in the folder c: \ ProgramData \ AccountPictures but does not update the picture on the local machine ... Someone succeeded make it work?? 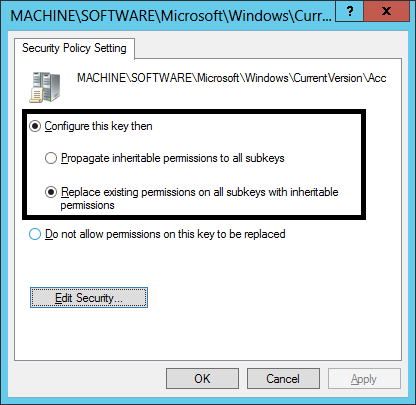 Please check Step 3 Edit the group policy ClientOS Settings-Win8 & 8.1... Ensure the registry having the proper security. 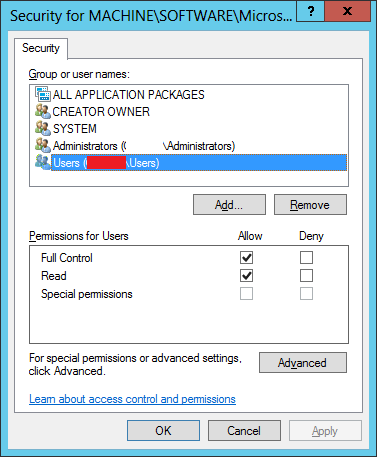 To update the group policy settings in clients you can try gpupdate command from client. c:\ProgramData\AccountPictures can not be created. My Forest and Domain Functional Level(s) are W2K8R2 and DCs are W2k8R2. Is it be the cause of the folder can not be created? I am not sure what I am doing wrong, but just not working. Works if I click it manually on the 8.1 workstation. But from Server 2012 R2 created the GPO exactly as described and added the WMI Filter under name space root\CIMv2. For GPO removed Authenticated Users and Added Domain/Users. Created schedule task at least windows 7 and down the below next to tick hidden, selected Windows 7. Added action etc. Then from 8.1 client machine gpupdate and logged off and on twice. But still no luck. I even tried without WMI Filter. can not downlaod UserTile8.exe, from googe disk, it says: Unfortunately, the file currently can not view or download. Too many users have viewed or downloaded file. Please try again later to access the file. If the file you are trying to access is particularly large or is shared with many people, it may take 24 hours to be able to view or download. If the file can not be accessed even after 24 hours, please contact your domain administrator. Thanks for the post, just implemented it, and it works great. Any tips for doing this on Windows 7? Any thoughts on updating this wonderful tool for Windows 10?